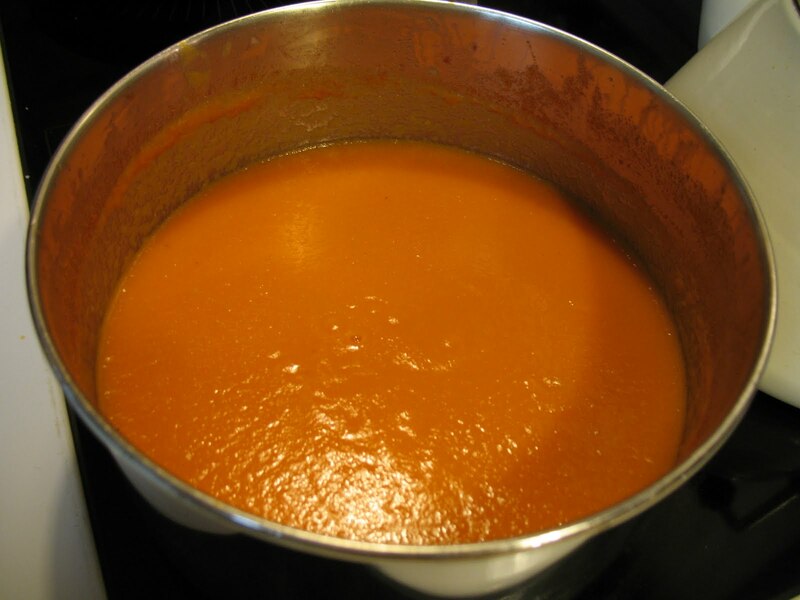 Tomato Puree (Water, Tomato Paste)Water, High Fructose Corn Syrup, Wheat Flour, Salt, Vegetable Oil (Corn, Cottonseed, Canola and/or Soybean)Flavoring, Ascorbic Acid, and Citric Acid. 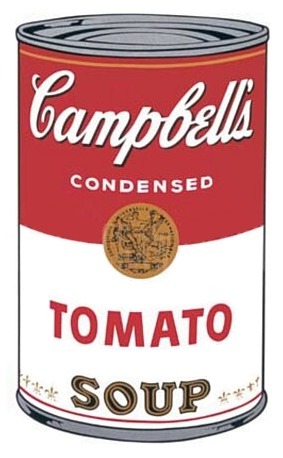 There is speculation that at least some of that vegetable oil is from GMO crops, but Campbell’s isn’t telling. Hmmm. This soup is delicious as well as ridiculously simple to prepare. 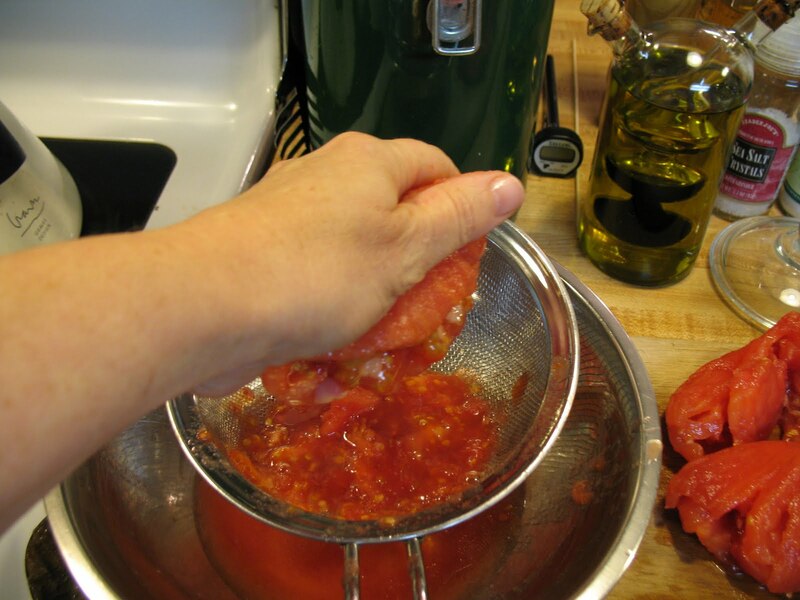 The recipe calls for 3 lbs of peeled, seeded, chopped tomatoes, which isn’t nearly as much work as it sounds, but if you have a food mill, you can leave the peel and seeds in for the cooking, and mill them out afterwards. But seriously, they both take about the same amount of time and effort. I have done it both ways and actually prefer peeling and seeding first. 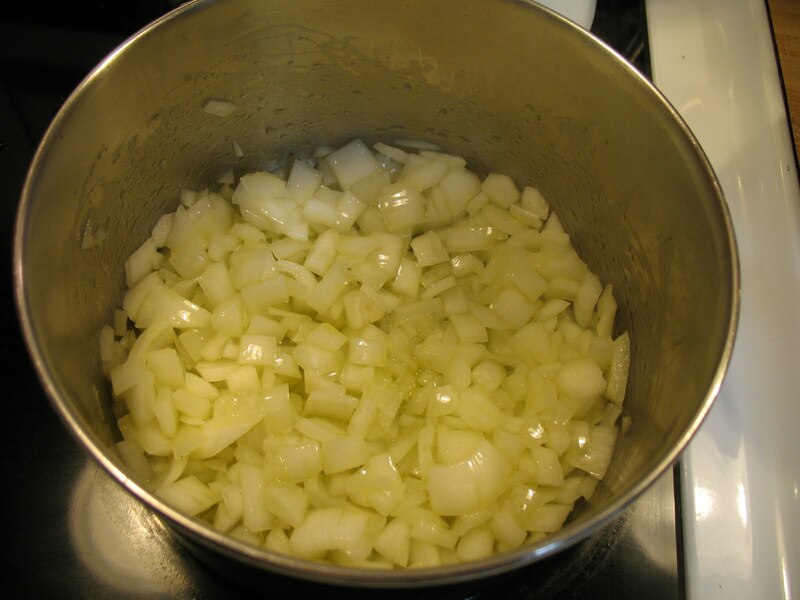 So first, chop and saute your onion in a saucepan in some olive oil, until it has softened. While that’s happening, put a small pot of water on to boil, into which you will briefly dip your tomatoes. 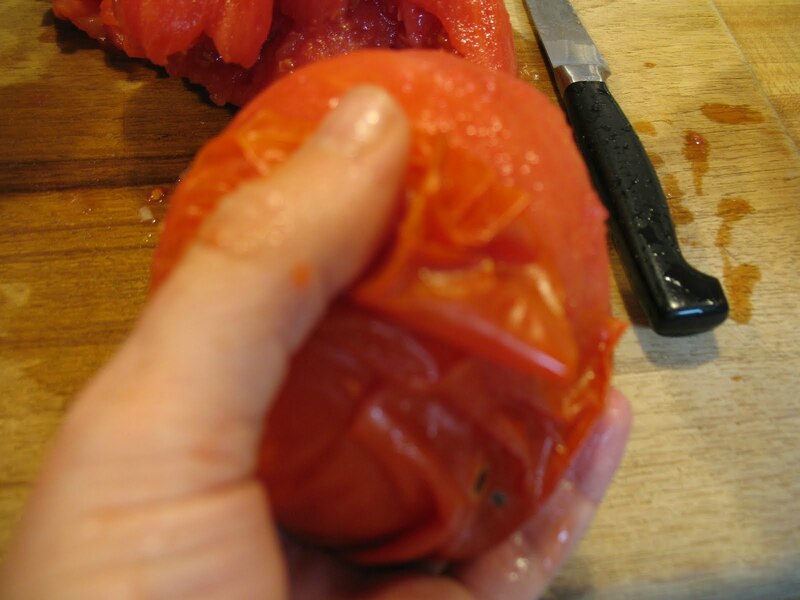 This loosens the skin so you can slip it right off, after you cut the core out of each tomato. See, look how easy that is. I could even photograph myself doing it. 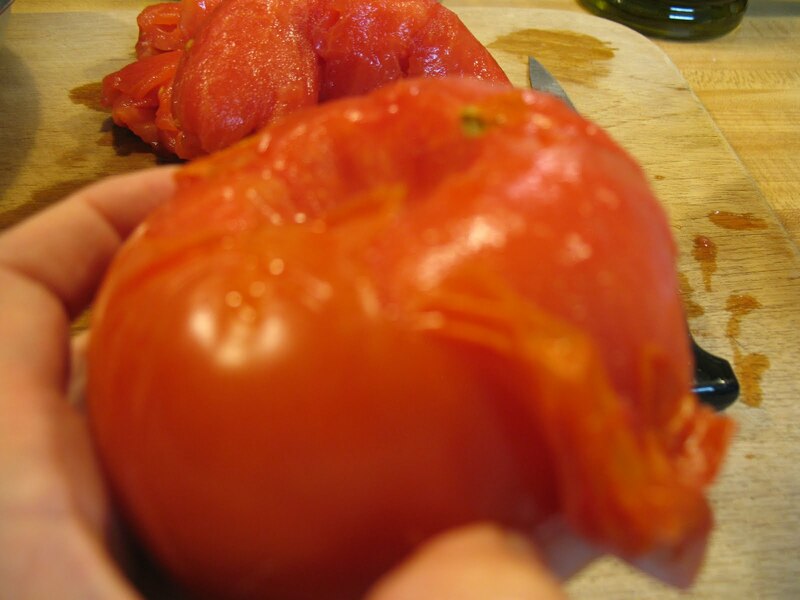 :) Now cut the tomato in half crosswise (not from top to bottom, but through the middle), and over a bowl with a strainer, gently squeeze the tomato halves to get the seeds out. Save the juice for the soup. 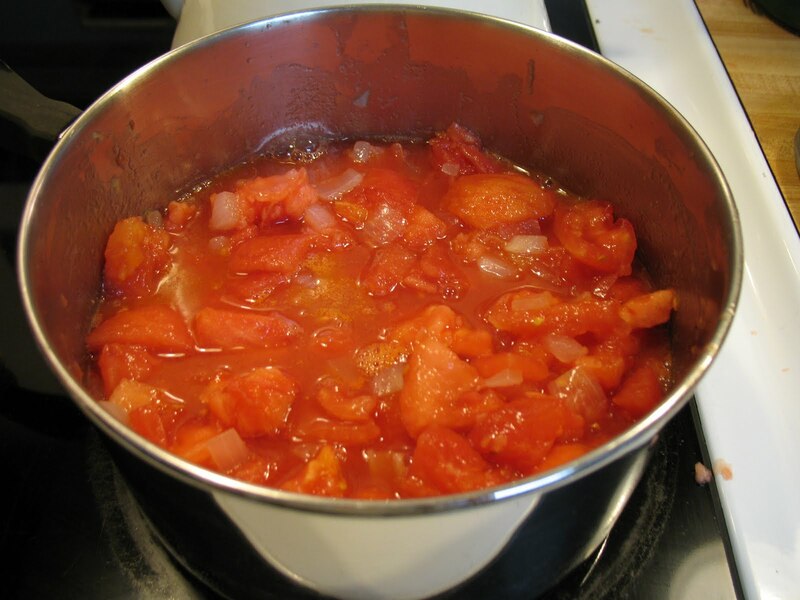 Chop the tomatoes and put them in the pot with the onions and the saved juice. The seeds in the strainer can go bye-bye. 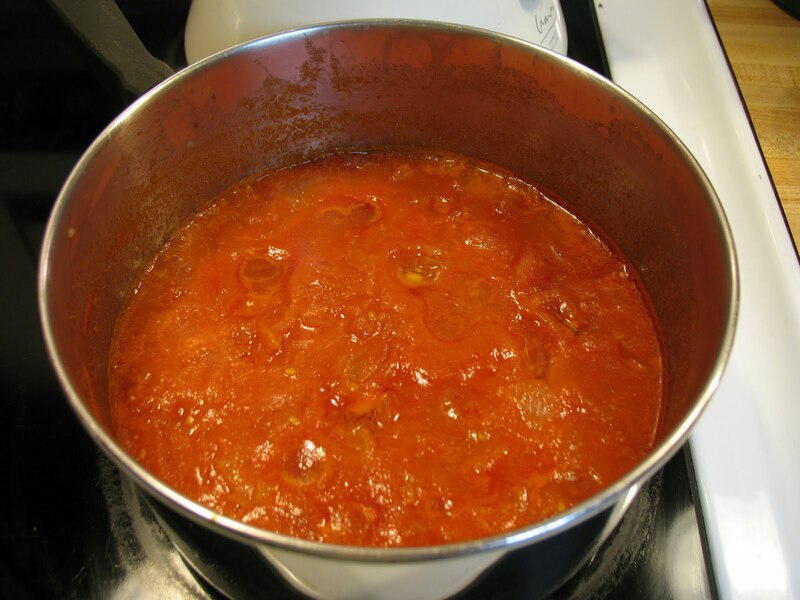 Now let the tomatoes and onions simmer gently until they are good and soft, and covered with their juices. 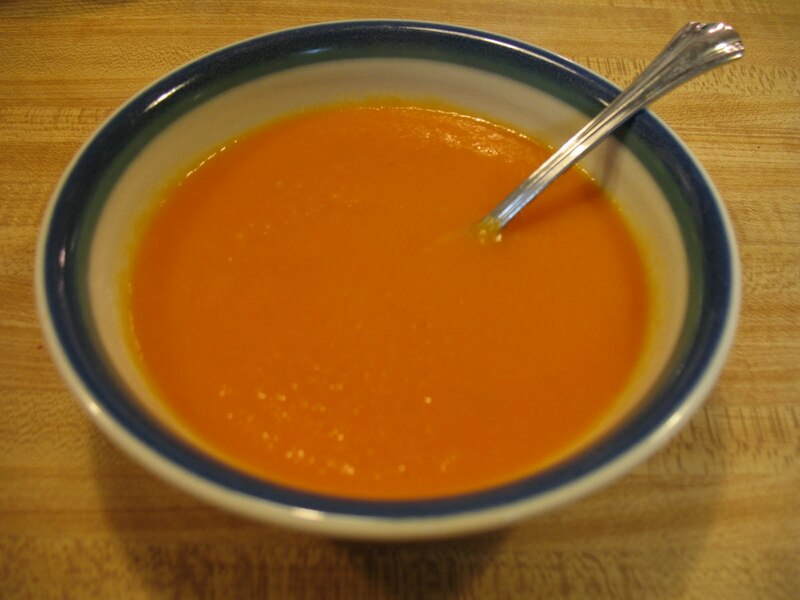 Pour into a blender, or even easier, plug in your immersion blender, and puree the soup until it is smooooooth. Salt and pepper to taste, and enjoy. This soup freezes really well; I leave the salt and pepper out of it if it’s going into the freezer, and season it when it’s reheated. You may or may not have noticed, but there is absolutely NO water in this soup. Just incredibly delicious tomato goodness. This soup really is good food. Next: Next post: Have a Happy Real Food Thanksgiving!